Just wanted to share the trailer for Thor: The Dark World if you haven’t seen it already. Of course, Iron Man 3 is just around the corner and we’re stoked for that. 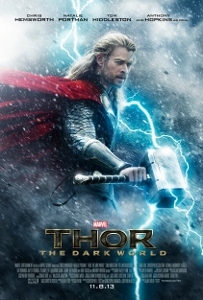 But next up after that for Avengers-related released is the second solo Thor film, opening November 8. If this trailer is any indication, it’s going to be good. I don’t even want to talk too much about an under-two-minute teaser, but my favorite part was the last few seconds and the only appearance of a certain villain. I can’t wait to see the new Thor movie! I enjoyed the first very much!